Bob Goodman began his career in the United States Army where he served as an Armor officer in a variety of command, operations, and logistics positions in the U.S., Europe, and Asia. He is a 1980 graduate of the United States Military Academy, West Point and the Army’s Command and General Staff College. Bob has over 15 years of experience integrating and leading multi-functional teams as a project manager, and as a consultant and small business owner. He developed leading practice project management techniques and procedures while at KPMG Consulting, Honeywell International and Ernst & Young, LLP. He is broadly acknowledged as a superb mentor. He has been awarded a Lean Six Sigma Master Black Belt (LSSMBB) certificate from Villanova University, Project Manager Professional (PMP) from the Project Management Institute, and Honeywell’s executive Strategic Marketing Program. He is a retired US Army Major. Prior to starting Get it Done Consulting, Bob worked as a senior manager for Ernst & Young, LLP, as a technical project manager for Honeywell International, and as an operations efficiency and improvement consultant for Benchmarking Partners and KPMG Consulting. 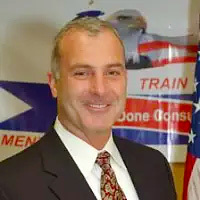 Goodman holds a Bachelor of Science degree in Engineering from the United States Military Academy. Bob is a member of the Board of Directors at the non-profit organization Family Service Association.